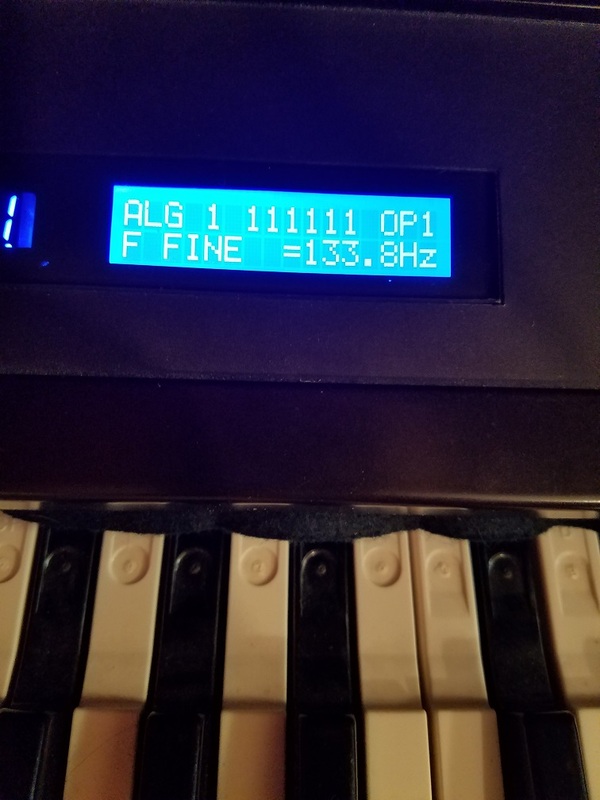 This one isn’t a huge bug, but anyone with an original DX7 running OS version 1.7 or earlier (on an expander based on it) can see this bug. 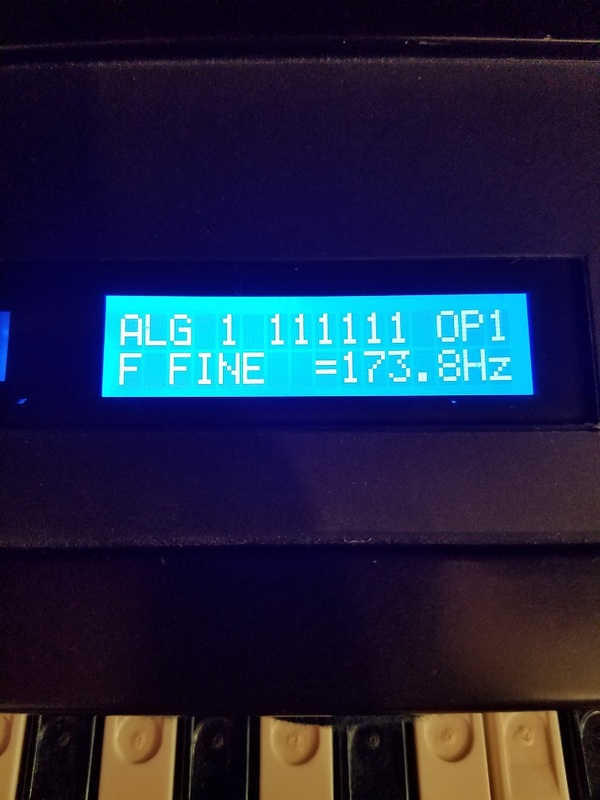 If you edit a patch and set an oscillator mode for Fixed Frequency, you can see that the display shows the frequency table is corrupted in one place. It sure would be nice to find some Yamaha Service Notes with information on the changes from one version to the next. Also this version boots significantly slower. All the expansions I’m selling either have these both fixed or were not affected by them. This entry was posted in Yamaha DX7. Bookmark the permalink.